Another day, another New Year’s Eve outfit to share with y’all, and this one is alllll on major sale!!!! 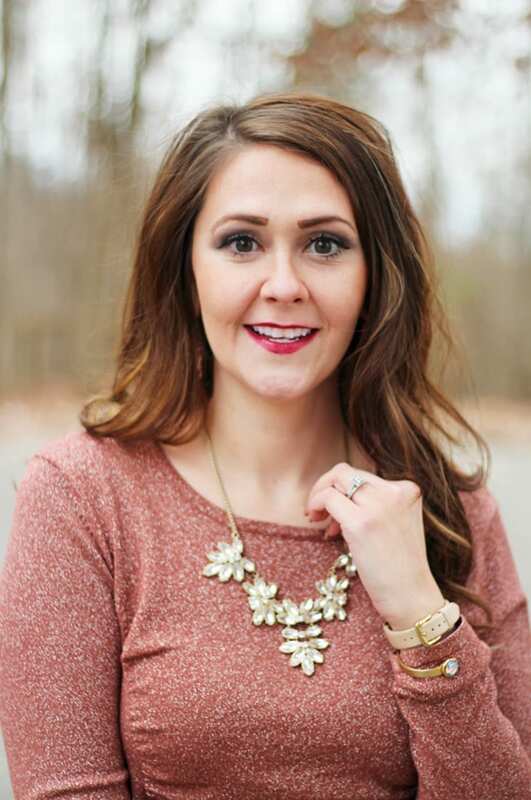 Today I’m teaming up with Mandy from Musings of a Shopaholic Mama to showcase more New Year’s Eve looks! Be sure to check out her NYE outfit here. The clutch was a last minute grab at Old Navy. My store had it on clearance for less than $8!!! It comes with a detachable chain. 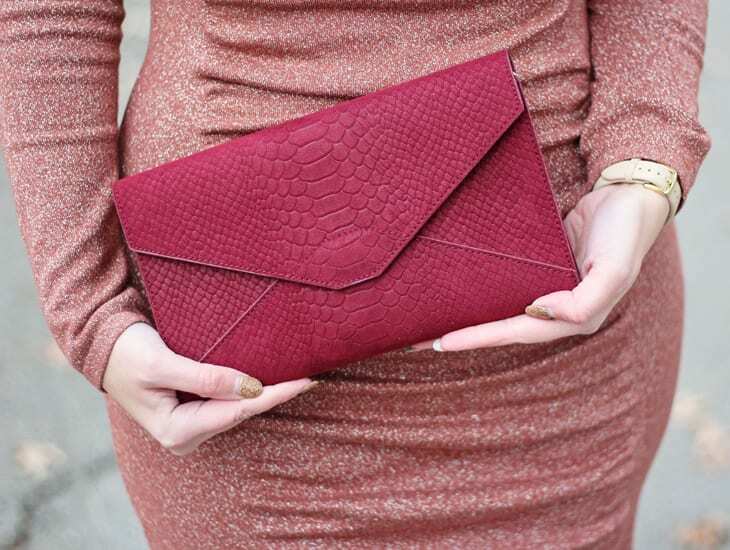 The burgundy and mauve color mix look great together. And the boots–OMG THE BOOTS! These are a great affordable version of the high end over-the-knee boots that are all over Instagram. They were a steal at the full price of $50, but now you can get them for $19.99!!!! If you have had your eye on a pair of over-the-knee boots, then this is what you’ve been waiting for!!! I’m sure they’ll sell out super quick, so hop on it! Don’t forget to check out Mandy’s NYE look here.